1/16: Large separate playgrounds are designed for ultimate play for infants, toddlers, preschool and school age children. 2/16: Our School Age Program provides an engaging and collaborative environment. 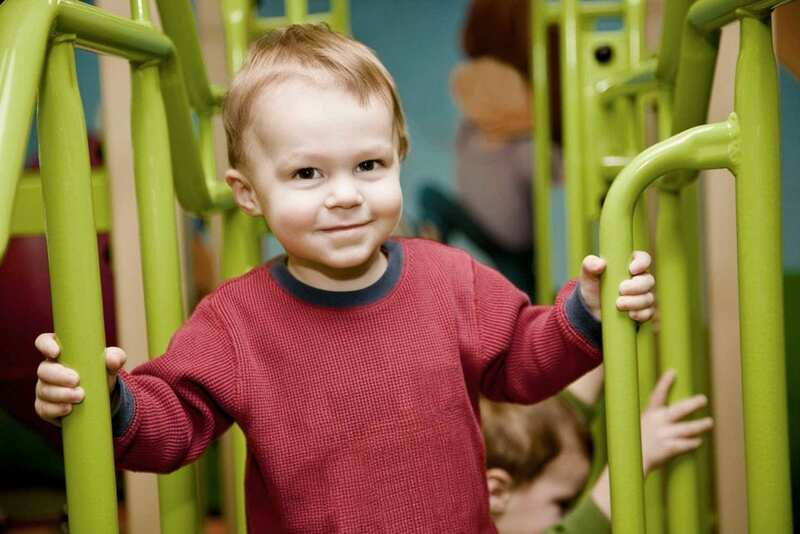 3/16: Our Toddler Program encourages each child to practice skills and develop independence. 4/16: Introduction to literacy begins with our earliest learners with exclusive Infant Curriculum that exceeds other typical childcare services. 5/16: The Kids 'R' Kids exclusive STEAM Ahead® Curriculum implements various activities to develop skills in science, technology, engineering, art and math. 6/16: School buses with seat belts provide transportation to and from local elementary schools as well as to planned field trips. 7/16: Hands-on activities (such as patterns, measurements and shapes) are important for developing your child into an abstract thinker. 8/16: Engaging activities thoughtfully engineered to encourage innovation, collaboration and imagination. 9/16: The Kids ‘R’ Kids Staff is central to our success. Each member is carefully selected and extensively trained to provide the best in early childhood development and childcare. 16/16: We love going outside for buggy time!